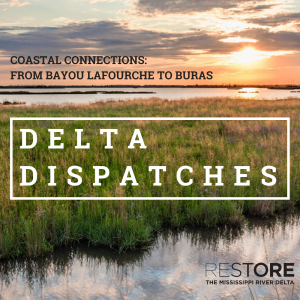 Welcome to Delta Dispatches with hosts, Simone Maloz & Jacques Hebert. On today’s show, Ryan Perque from Friends of Bayou Lafourche stops by to talk with Simone & Jacques about what is happening with their organization, what is coming up and more! On the second half of the show, Brad Barth of CPRA joins the show to talk about the wonderful initiatives that CPRA has going on.